Confusion Over Who In San Leandro City Hall Has Authority On Flag Raising? We are very happy to note the continuing support of Mayor Cassidy in opposing the proposal to raise the flag of China at San Leandro City Hall, we express our respect and heartfelt appreciation to the Mayor for his vision and commitment to democratic freedoms and human rights. According to very helpful and supportive communications received from the Mayor it seems efforts to lobby against this distasteful proposal are better directed at his colleagues within the Council who previously expressed support for the idea of honoring China’s Regime. Sure, makes sense and we were already on the case, indeed an appeal has been emailed to Council Members; Ursula Reed, Diana M. Souza, Benny Lee and Jim Prola. a formal policy, the wording of which seems clear. “As a general rule, special designation flags (such United Nations flag, flag of a Sister City, Children’s Memorial Flag, etc.) will be raised only upon the direction of the Mayor or City Manager….” (Article 2 ‘Policy On Raising Flags’ 1.7.205: APPLICABILITY) Emphasis Added. Now we were confused as having read the policy above we had concluded that its wording clearly asserts that any final decision rests with the Mayor’s Office. Yet the Mayor’s Facebook response created an uncertainty and a whole bunch of questions that need addressing. 1) What is the defining criteria that distinguishes a ‘policy’ from a ‘guideline’? 2) Article 2 Of The Policy On Flag Raising invests who precisely with final authority? 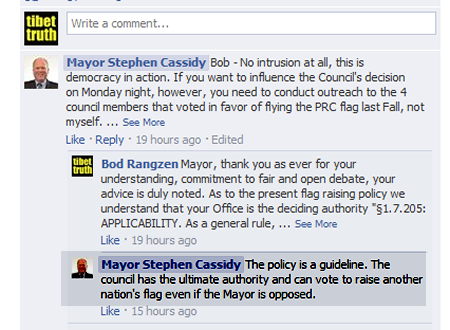 3) Is it a vote from Council Members or the Mayor’s Office itself has the deciding voice on Flag Raising? 4) What distinguishes, within San Leandro City procedural legislation, a ‘guide’ from a ‘policy’? 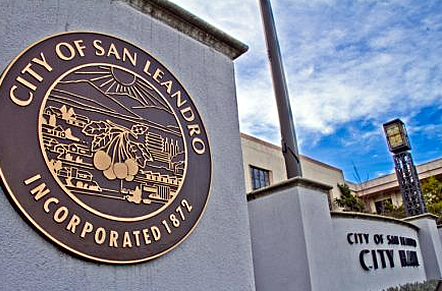 5) Are such definitions, for the purposes of San Leandro civic administration, formalized? 6) Is there publicly available documentation on such details, relating to City procedure, which can clarify what constitutes policy as opposed to ‘guidelines’? We are looking this from distance of course, yet such questions we hope are recognized and appreciated by Mayor Cassidy and his colleagues on the Ad-Hoc Committee which assembles on March 17 at 19.00 to discuss further the proposal to fly the Chinese flag at City Hall. It is important that democratic process is transparent and that members of the local community and others who seek to present their views during the meeting are informed and appraised of the procedural policy relating to this matter. Beyond such important detail of course loom major questions for San Leandro’s Administrators, can they in good conscience ignore the harrowing human rights record of China’s regime and honor an emblem that represents the world’s most oppressive tyranny? Meanwhile it is hoped that Mayor Cassidy and his Council Members will extend to us the courtesy of addressing our questions and help clarify the situation.